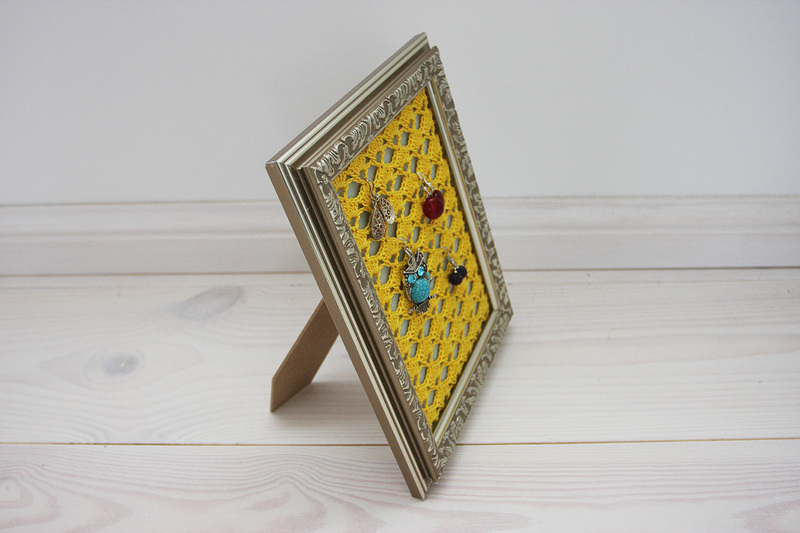 This beautiful crocheted lace in photo frame is perfect for hanging earrings, just hook them into the lace to keep them organised and easy to access. A lovely gift for a jewellery lover or for yourself! 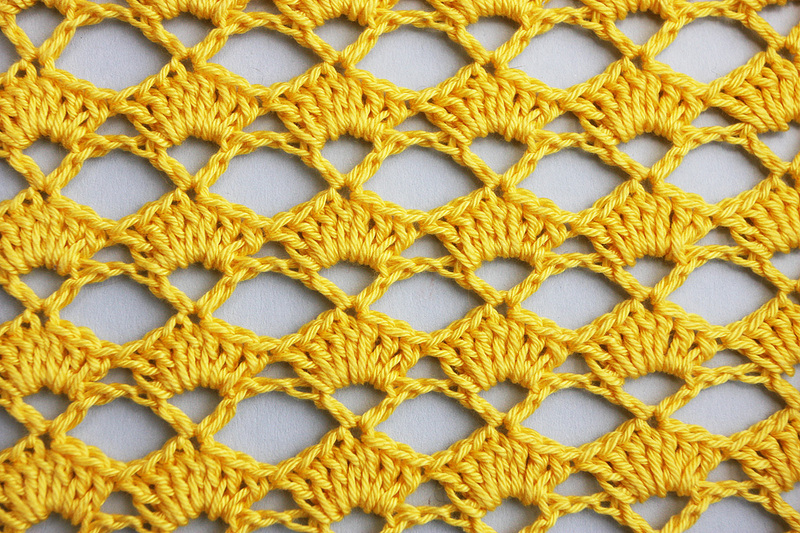 The lace is handmade from 100% cotton yarn. See additional information under description. 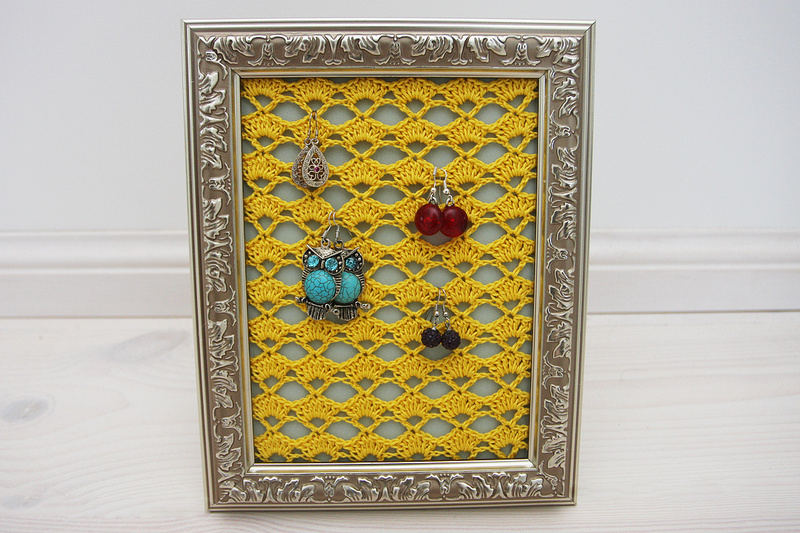 This beautiful crocheted lace in photo frame is perfect for hanging earrings, just hook them into the lace to keep them organised and easy to access. 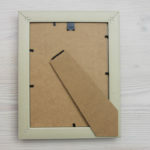 A lovely gift for a jewellery lover or for yourself! 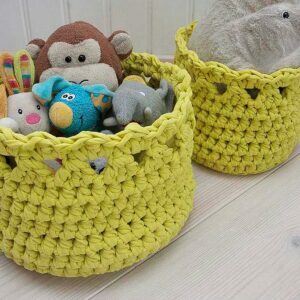 Also a great interior design accessory. 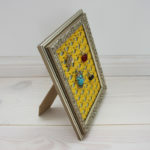 You can either place this jewellery organizer on the table/night stand or hang on the wall. 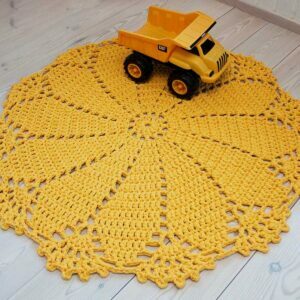 The lace is handmade from 100% cotton yarn, colour yellow. 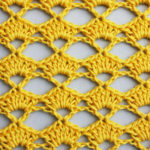 There is a grey cardboard behind the lace. 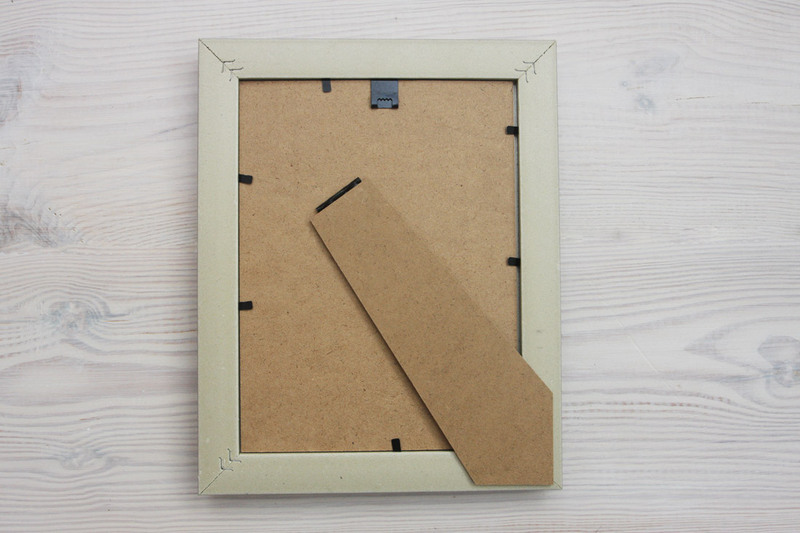 The picture frame is golden made from plastic. Please note that the colour may vary depending on monitor settings. I have tried to get as close to the colour as possible. Please note: The earrings on the photos are not included.